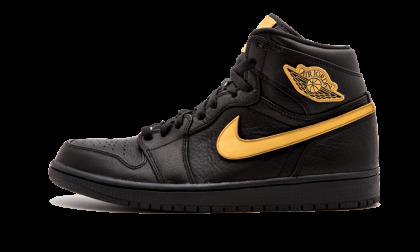 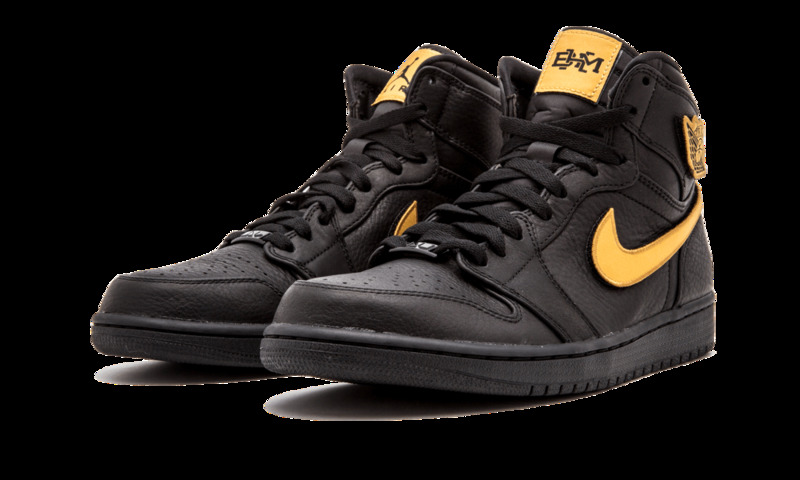 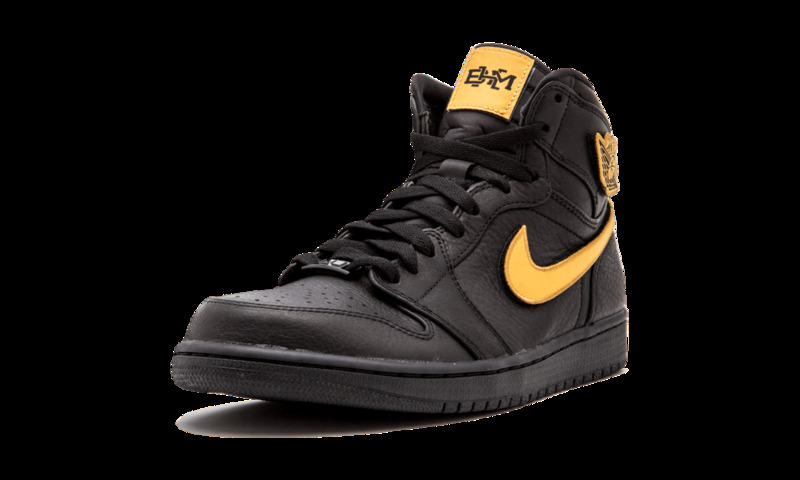 In 2017, Jordan Brand’s annual Black History Month Collection featured this Air Jordan 1 Retro High in a Black and Metallic Gold. 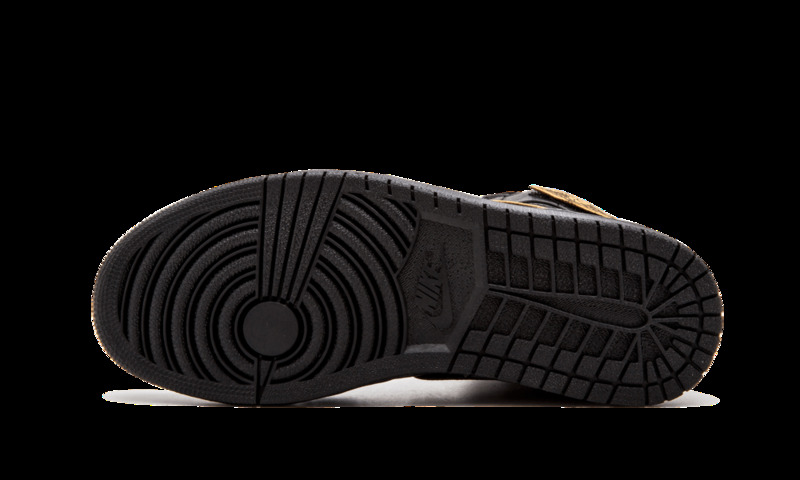 Design wise, the sneaker features a simple yet clean tumbled leather on the upper. 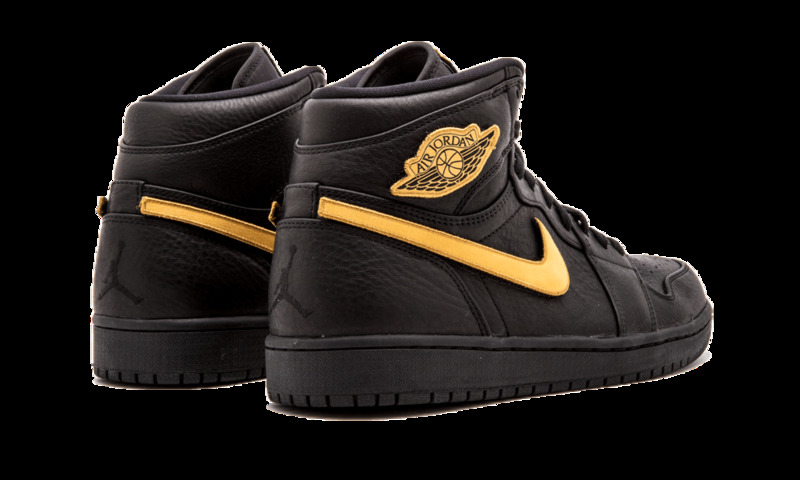 However, the velcro patches on the Wings branding, the Swoosh side panels, and the alternating tongue logos featuring Jumpman logos and Nike’s ‘BHM’ crest add a nice touch.